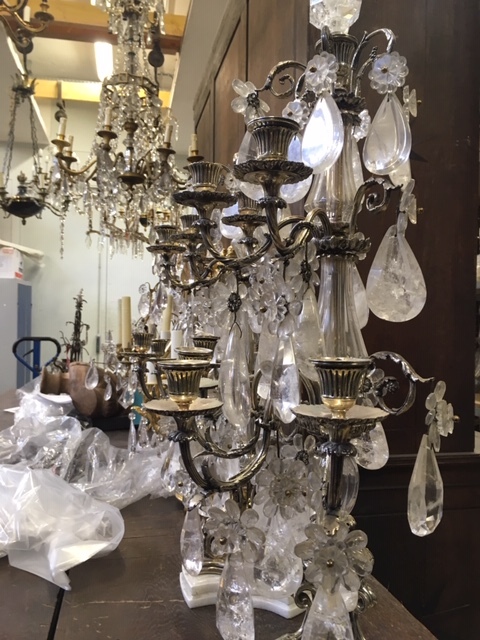 Home to state furnishings and guardian of traditional savoir-faire. 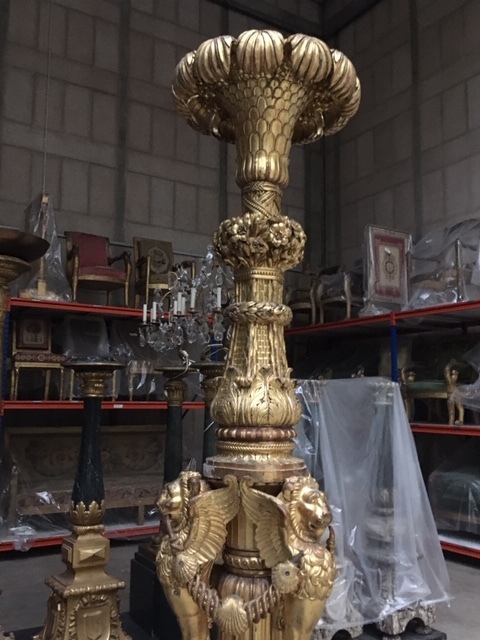 Formerly known as the Garde-Meubles de la Couronne, the Mobilier National manages a treasure trove of 130,000 pieces of furniturel, it was created in 1604 by Henry IV and reorganised in 1663 by Louis XIV. It is responsible for the care of all sorts of decorative art objects, from tapestries and rugs to chairs and desks. 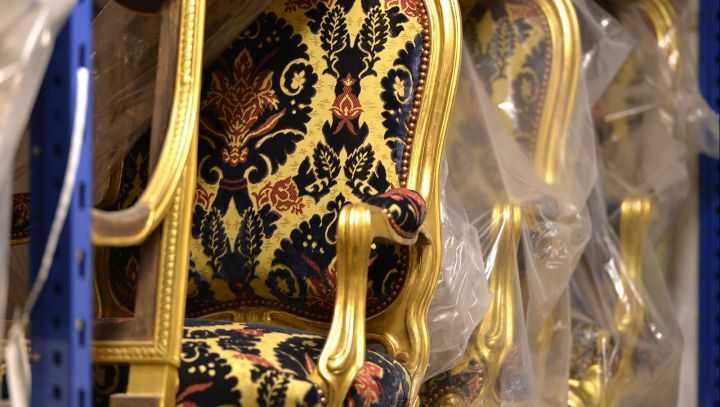 The institution maintains its historic role repairing and restoring furniture thanks to its artisans, masters of ancient techniques who keep traditions alive and continue to pass on their savoir-faire to future generations. It is also a centre for contemporary designs with the Atelier de Recherche et creation, set up in 1962 by André Malraux. 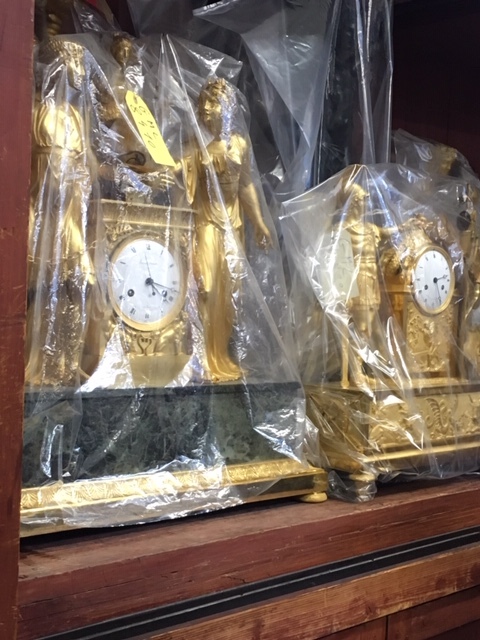 Two young and talented curators led us first to the greatest masterpiece, the collection stored in the Perret building (named after the architect who designed it, Auguste Perret). Artificial light fills the cool room and there are rows of chairs on shelves along the walls. On the floor there are desks, beds and lamps, all protected from the dust by plastic covers. 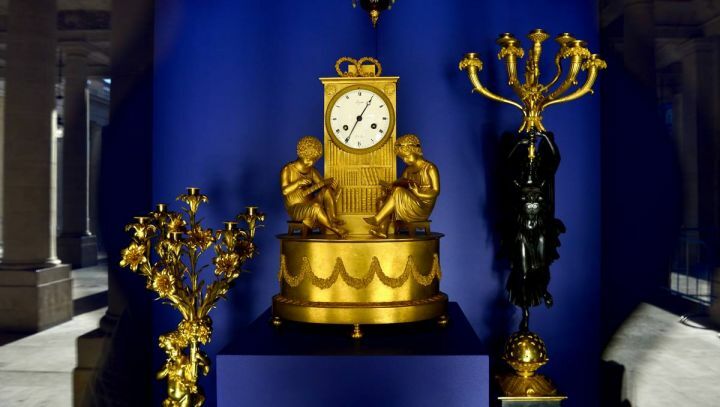 We were shown four monumental giltwood torchères from the Throne room at the Tuileries Palace as well as the Pierre Paulin blue desk with pink detail commissioned by President Mitterand. In the second collection we visited, there were tapestries and rugs wrapped in calico as far as the eye could see. One was unveiled for us, a large carpet based on Le Brun’s designs and woven at the Gobelins Manufactory for the Grande Galerie du Louvre and later moved to the Elysée palace. 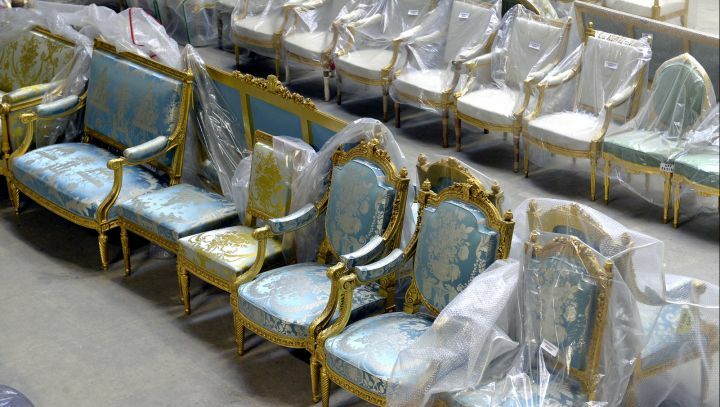 One of the duties of this remarkable institution is to provide furniture for the most important buildings in the French Republic, from presidential residences to French embassies around the world.